Priests return with fireworks of noise and arresting melodies on their sophomore LP, ‘The Seduction of Kansas’. Their 2017 debut LP ‘Nothing Feels Natural’ was heralded as a modern classic of rock and post-punk, but their music feels urgently present. 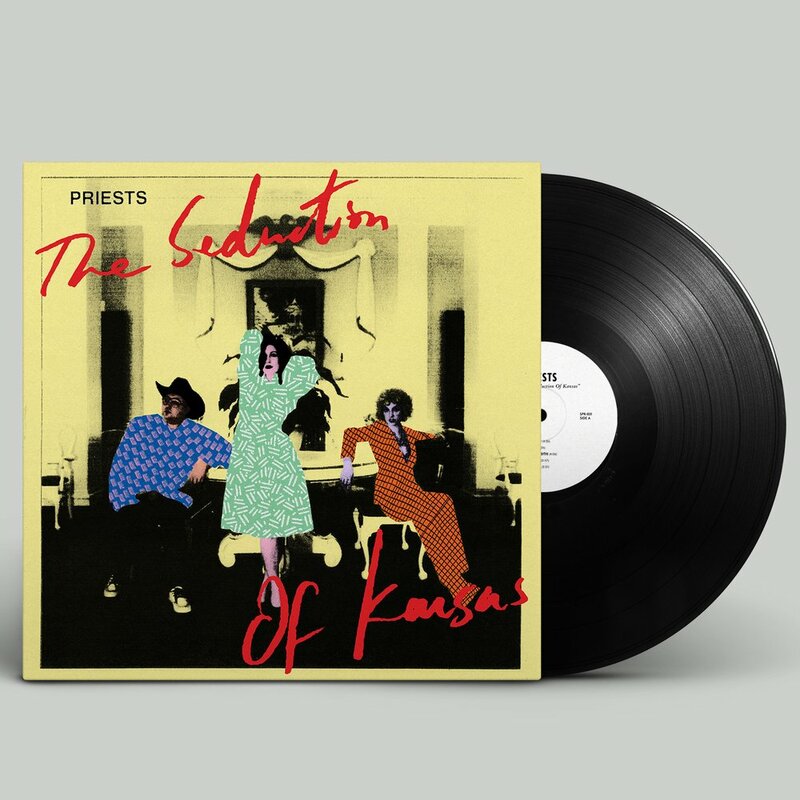 If ‘Nothing Feels Natural’ felt like an album-length ode to possibility, then ‘The Seduction of Kansas’ exists within the adventurous world its predecessor pried open. If Priests’ full length debut was the reach and conviction of a band pushing beyond itself, willing itself into existence on its own terms, The Seduction of Kansas stands boldly in the self-possessed space its predecessor carved out. These 10 pop songs are like short stories told from uncanny perspectives, full of fire and camp. ‘The Seduction of Kansas’ is Priests’ most immediate, exciting and musically cohesive release to date; a bracing leap forward in a catalog full of them.